It's a premise as simple as it is difficult. The concept behind the Subaru Palm Challenge is to place your palm on the body of a Subaru model (the vehicle, not the leggy booth babes), and hold on as long as you can. If you outlast everyone else who joins the contest--and we mean everyone who joins in the Southeast Asian region that Motor Image services--you get to bring home a brand-new Subaru XV crossover. 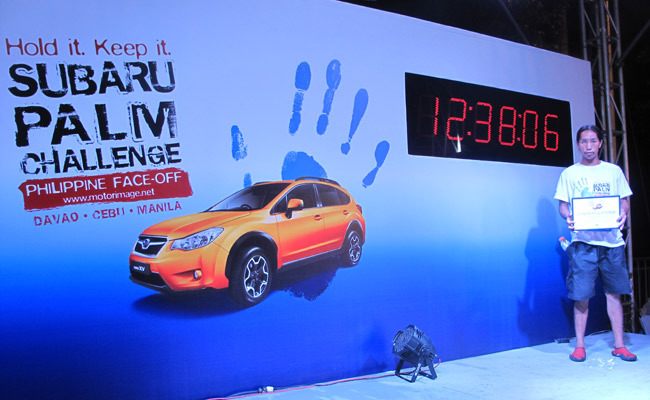 The contest has been held in the country by official Subaru distributor Motor Image Pilipinas for several years now, but was only limited to Metro Manila in the beginning. In recent years, MIP has expanded the scope to include the big provinces of Cebu and Davao. Case in point: This year's kickoff event was held last weekend at SM Lanang in Davao City. This year, 148 Davaoeños joined the first leg of the Philippine Palm Challenge. Several challengers from last year's edition tried their luck again this year, including 2013 winner Albert Saquillo, who held on last year for 12 hours, 32 minutes and 55 seconds. In 2014, the victor is 30-year-old Roque Moncada, who lasted 12 hours, 38 minutes and 6 seconds. Moncada is officially the first member of the Philippine team that will compete in the Subaru Challenge in Singapore this coming November. He will be accompanied by one challenger from Cebu, and eight from Metro Manila. These 10 Filipinos will face off against competitors from Singapore, Cambodia, China, Hong Kong, Indonesia, Malaysia, Taiwan, Thailand and Vietnam. The remaining Philippine eliminations will be held on September 13 (yes, this weekend) at Ayala Center Cebu, and on September 27 in Bonifacio High Street. Those who want to try their luck can download the registration form at www.motorimage.net/PH, or through any authorized Subaru showroom nationwide. 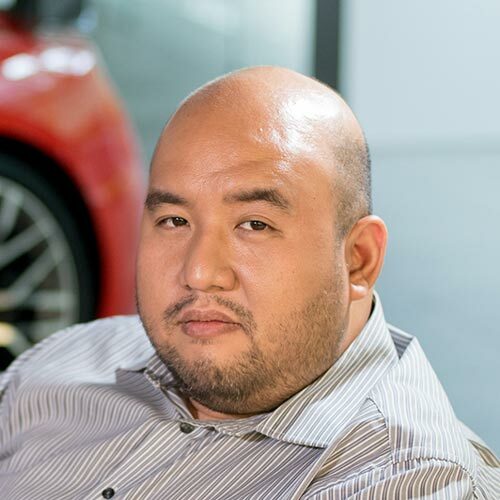 So far, no Filipino has ever won the regional championship and brought home the car. 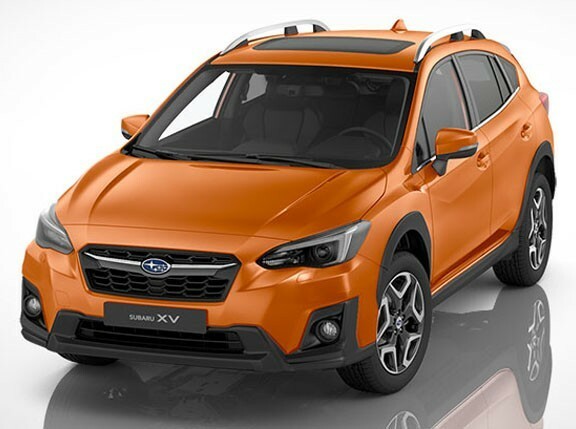 So start strengthening your favored arm, because a Subaru XV is worth holding on for.